whilst completing her PhD. 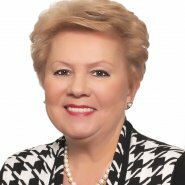 She is an expert adviser to the EU and member of two working groups of the ASEM Education Process. Dr Cloud Bai-Yun is the Chief Executive of UK NARIC, the UK’s national agency providing information and expert opinion on vocational, academic and professional qualifications worldwide. Under Dr Bai-Yun’s dynamic and pioneering leadership, UK NARIC has been transformed from a low-profile operation to an internationally recognised leading information service provider. Her career history also included designing and developing the National Reference Point for Vocational Qualifications (NRP) since its inception in 2001; the National Europass Centre since 2005; the National Contact Point on Professional Qualifications from 2008, and the European Credit system for Vocational Education and Training (ECVET) Centre for England in 2009. 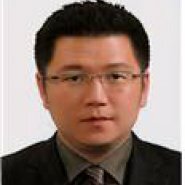 Dr. Yonghwan Bang recently joined Konyang Cyber University, Daejeon in Korea after he served as an international education expert for education sector development projects in Cambodia about 5 years with MoEYS-Cambodia, World Bank, UNICEF, UNESCO, KOICA, Ewha-RUPP and Seoul National University. 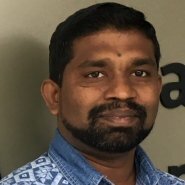 Prior to the education development field, he was a Regional Director - Asia, International Center at Hawaii Pacific University between 2005 and 2011. While he was at HPU, he focused on internationalization of higher education by designing an international education program with partner Higher Education Institutions in Europe and Asia. Dr. Bang studied Higher Education Policy and Administration from the Rossier School of Education at University of Southern California (USC) in the States and Global Education Cooperation at Seoul National University (SNU) in Korea. His academic and professional work focused on the Global Citizenship Education, Online Higher Education for Sustainable Development Goal 4, International Education Development, Human Development and Education Policy. His doctoral disseration was about the strategies and practice of the university presidential leadership and internationalizing the campus in Korea. Oscar is a Finnish national with partially Bolivian origins. Being an ASEF alumnus of the 4th ASEM Rectors’ Conference and Students Forum (ARC4), he joined ASEF’s Education Department in 2016. Oscar coordinates the ASEF Young Leaders Programme, including the ASEF Summer University (ASEFSU) and the Model ASEM projects, as well as supports projects under the ASEF Education Policy Programme. 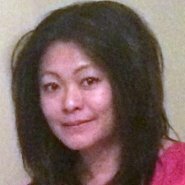 Borhene Chakroun is an engineer and has a PhD in Education Sciences from Bourgogne University in France. His academic work focuses on the recognition and validation of prior learning and qualifications. Borhene worked, during the 1990s, as trainer, chief trainer, project manager. He has also worked as short-term consultant for the EU, World Bank and other international organisations before coming to the European Training Foundation (ETF) in 2001. At the ETF, Borhene worked as Senior Human Capital Development specialist. He has also coordinated the ETF’s community of practice on National Qualifications Frameworks and Recognition of Qualifications. 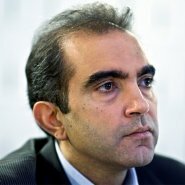 He is now Head of the section in charge of Skills Development at UNESCO. Borhene conducted a range of policy reviews and skills systems diagnosis in different contexts. He has authored and co-authored various articles and books in the field of skills development. Much of his most recent work focuses on global trends in reforming skills systems and global agenda for skills development in the context of the 2030 Sustainable Development Agenda. Marie-Céline Falisse comes from Belgium and represents the Erasmus Student Network (ESN), the biggest volunteer-based student organisation in Europe. Marie-Céline joined ESN in 2012 and has held several positions at the local, national and international levels of the organisation since then. She is now Liaison Officer, representing ESN towards partners and stakeholders with a particular focus on the EU neighbourhood and beyond. Marie-Céline has an academic background in languages and communication, and is currently pursuing part-time studies in International Development. 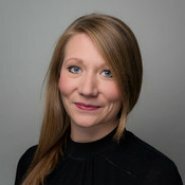 She has been involved in youth organisations from a young age and has significant experience with international mobility programmes herself as she has taken part in an Erasmus exchange in Germany, a European Voluntary Service in Norway and a Mobility of Youth Workers project in the UK. Mag. Friedrich Faulhammer is Danube University Krems' Rector. He was elected unanimously by the University Council on February 20, 2013. Faulhammer (born 1963) studied law in Vienna. From 1985 to 1990 he worked at the Institute for History of Law at the University of Vienna and at the legal department of the university's directorate. 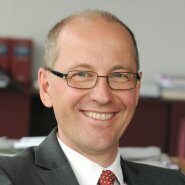 In 1990 he joined the Austrian Ministry for Science and Research where he became the Head of the Department for Universities of Applied Sciences in 2001; from 2003 to 2005 he was Deputy Head at the Department for University Law and actively involved in the implementation of the 2002 Law on Universities. 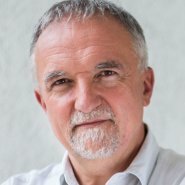 In 2005 he became Head of the Department I at the Austrian Federal Ministry for Science and Research and has been its Secretary General since 2009. Among the focal points of his work are new forms of university management as well as European developments and legal affairs in the university sector. Kitty Fehringer studied "Education for children with special needs" at the University of Vienna. Later on she became Marketing Manager. In 2002 she joined the European Commission and became the coordinator of the EURAXESS initiative at a European level, this includes the coordination of the 40 participating European countries and the international dimension, thus including Asia. Martina Friedrich studied Business Administration at the Vienna University of Economics and Business Administration. In 1995 she started to work at the OeAD (Austrian Agency for International Cooperation in Education & Research) in the LEONARDO DA VINCI Programme - first as a programme manager and later as the deputy head of unit. 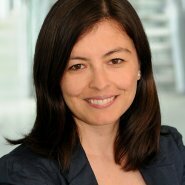 In 1999 Ms. Friedrich moved to Brussels for three years to work in DG EAC (CLEO) as a temporary agent. In 2002 she returned to the OeAD. Since then she has been responsible for all EU-Third Countries Programmes in Austria and represented the National Contact Point for TEMPUS and ERASMUS MUNDUS. With reference to Erasmus+ she is part of the Higher Education team in the National Agency with a main focus on the centralized actions Erasmus Mundus Joint Master Degrees, Capacity Building in Higher Education, Knowledge Alliances and Jean Monnet. Andrea Ghoneim, Researcher, Danube University Krems (University for Continuing Education), Austria Dr. Andrea Ghoneim is head of the Department of Interactive Media and Educational Technologies at Danube University Krems. Her main field of research are ePortfolios and teaching and learning with Media. Her teaching focuses are Educational Technology and research methodology. Applied research for projects like EUfolio. EU classroom ePortfolios (2013-2015), ATS2020. Assessment of Transversal Skills (2015-2018), TEAVET. Developing Teacher Competencies for a Comprehensive VET System in Albania (2017-2019). Isabell Grundschober, Researcher, Danube University Krems (University for Continuing Education), Austria Isabell Grundschober graduated from the Vienna University of Economic and Business with a major in social economics and from the University College for Teacher Education Vienna with a focus on elementary school education and digital literacy. Currently, she is finishing her Master studies in Applied Knowledge Management at the University of Applied Sciences Burgenland. Since January 2015 she has been a researcher at the Department of Interactive Media and Educational Technologies at Danube University Krems. Her fields of expertise are learning outcome-oriented education and its implementation, the validation of prior learning and educational technology. Ms Grundschober conducted several training sessions on the implementation of learning outcomes in Higher Education and coordinated the EU-project VALERU. 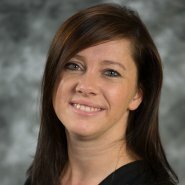 She currently works on nationally and internationally funded projects in the area of educational technology and LLL research, e.g. assessment of transversal skills validation (ATS2020) for the inclusion of new citizens of Europe (VINCE), promoting links between the labour market and higher education through higher apprenticeships (ApprEnt). 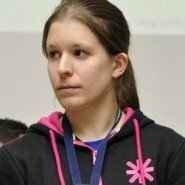 More about Isabell Grundschober’s work and research can be read in her blog “Isabell goes EduTech”. Dr. Filiz Keser Aschenberger, upon completing her BA and MA at Bogazici University, pursued her PhD in Educational Administration and Planning at Middle East Technical University. For her PhD research, she analysed policy making process in Turkey from a comparative perspective. She conducted part of her PhD research at University of Wisconsin-Madison as a Fulbright Scholar. Keser Aschenberger took part in many national and international projects and participated in numerous international conferences. 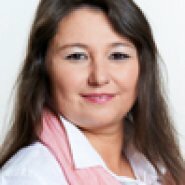 Currently she is working as head of the Centre Transdisciplinary Continuing Education Planning and Education Research at the Danube University Krems in the Department for Continuing Education Research and Educational Management and she is teaching at the University of Vienna in the Educational Sciences Institute. Her research interests include continuing education, lifelong learning, professional development, educational policy, and policy analysis. Initiator and head of the “EESI” Center for Entrepreneurship Education (www.eesi-impulszentrum.at) from the Austrian Federal Ministry of Education, Research and Science; Head of the Department of Entrepreneurship Education & the Center for Entrepreneurship Education and valuebased Business Education at the University Teacher College Vienna/Krems and Entrepreneurship & Business Educator at the Schumpeter College, Austria. 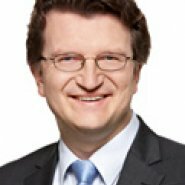 Mr. Johannes Lindner is founder and head of the Initiative for Teaching Entrepreneurship Austria (www.entrepreneurship.at). 2012 he has received the Ashoka Fellowship (the first in Austria). 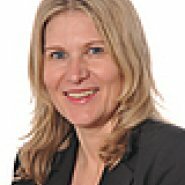 Claudia Linditsch has a master degree in International Management with a focus on marketing and event management. Claudia has worked for FH JOANNEUM – University of applied Sciences for 8 years being a lecturer and international project manager. 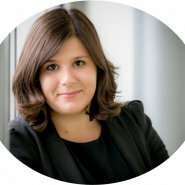 Despite of teaching international business, marketing and project management at the Bachelor´s and Master´s level at the institute of international management and banking and insurance , Claudia has always coordinated and implemented national and EU funded projects focusing on her main topics. In total Claudia has coordinated already 8 EU funded projects and successfully implemented another 20 more with partners from all over the world. M.Miandy Munusamy is an Administrative and Diplomatic Officer of Public Service Department, Malaysia. He joined the Policy Coordination and International Division, Ministry of Higher Education Malaysia (MOHE) in April 2009. As a desk officer for multilateral cooperation, he coordinated the higher education cooperation between MOHE and various multilateral cooperation including Asia-Europe Meeting (ASEM). He was part of the Secretariat of the Fourth ASEM Education Ministers’ Meeting (ASEMME4) held in Kuala Lumpur in 2013. He was also seconded to the ASEM Education Secretariat (AES) Jakarta, Indonesia from February 2015 to February 2016. Beginning September 2017, he started his Doctorate study on Internationalisation of Higher Education in Malaysia and The ASEM Education Process at Asia-Europe Institute, University of Malaya. Currently, he is seconded to the AES Brussels for his two-folded mission: to collect information for his PHD Thesis on ASEM Education Process and to support the daily work of the AES. Under the direction of Dr. Olga Oleynikova, the Centre for Vocational Education and Training (VET) Studies is engaged in research in the field of improving the quality and efficiency of Russian vocational and higher education, integrating Russian education into the European educational system, including internationalization. Since 2006 on the basis of the Center, the Erasmus + National Office has been coordinating the components of the Erasmus+ program related to cooperation in higher education sphere. Dr. Olga Oleynikova has authored around 200 articles dedicated to the international trends of higher education development, internationalization, mechanisms and tools of the Bologna Process, and problems and prospects of the vocational education systems development in the European Union and Russia, comparative studies, lifelong learning strategies, social partnership, principles and procedures for quality assurance of vocational education, foreign VET systems, the development of occupational standards, etc. Mr. Torben Schuster, MS.c., Chief Consultant with the Danish Ministry of Education. I work with international and bi-lateral agreements on education and policy development with emphasis on vocational education and training. Many years of experience as CEO of a vocational education and training institution, consultant and teacher in management and organizational development in national and international organizations. 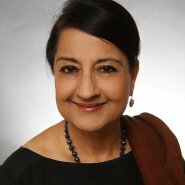 Dr. Madhu Singh recently retired (September 2018) from the UNESCO Institute for Lifelong Learning (UIL), Hamburg Germany, where she worked on Recognition, Validation and Accreditation (RVA) of Non-formal and Informal Learning and National Qualifications Frameworks (NQFs), and was responsible for the co-operation with the European Centre for Research on Technical and Vocational Training (CEDEFOP), the European Training Foundation (ETF) and UNESCO HQ in connection with the Global Inventory of Regional and National Qualifications Frameworks Volumes 1 and 2. During her term at UIL, some of her publications included: Why Recognition Matters: Global Perspectives on Non-formal and Informal Learning (UIL 2015); Linking Recognition Practices to National Qualifications Frameworks (UIL 2013, with R. Duvekot); Pathways to Empowerment: Recognizing the Competences of Syrian refugees in selected Arab countries (UIL 2018); Some of her articles included: ‘Quality Lifelong Learning: Qualifications Frameworks and Mechanisms for Recognizing all Learning’ (2017); ‘Role of National Qualifications Frameworks (NQFs) and Support for Alternative Transition Routes for Young People’ (2017); ‘Qualifications Frameworks: Lessons over the past 20 years. An international perspective’ (2016, with A. Deij); The Work of UNESCO Institute for Lifelong Learning in Strengthening Lifelong Learning through NQFs (2014). Her forthcoming book (UIL and Springer, With M. Pavlova) Recognizing Green Skills through Non-formal Learning: A comparative study in Asia looks at recognition and validation in the context of promoting environmental sustainability in micro, small and medium enterprises (MSMEs) in Bangladesh, China, Hong Kong SAR China, India, Kazakhstan, Malaysia, Nepal, Philippines. Magalie Soenen holds a master and teacher training degree in Geography from Ghent University, Belgium. She started working at Ghent University as policy officer in the field of quality assurance and internationalisation. 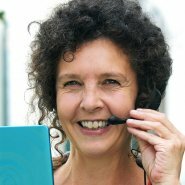 Nine years later she became the general coordinator of EPOS vzw, the Flemish Agency for the European Life Long Learning Programme. Since 2009 she works in the Higher Education Policy Unit of the Flemish Ministry of Education of Training. 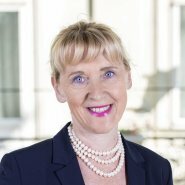 She represents Flanders in the Bologna- and ASEM-process and is member of several boards of directors and committees. She also develops national policies concerning internationalisation and mobility in higher education. 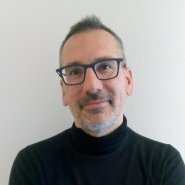 Josef Strobl is Professor at the University of Salzburg, leading the Interfaculty Department of Geoinformatics. He holds degrees in Geography from Vienna University and has been teaching Geographic Information Science and related subjects at universities worldwide. 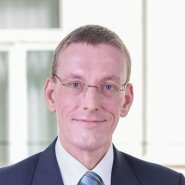 He is a full member of the Austrian Academy of Sciences and head of its Commission for Geographic Information Science. Serving as a board member for international organizations like UN-GGIM AN, ISDE and GISIG and on the editorial boards of leading journals in Geoinformatics and GIScience, he is promoting and spearheading various curriculum development and online/elearning initiatives within international education frameworks. Dr. Chantavit Sujatanond holds an A.B. in English and Public Administration (1969), an M.A. in Linguistics and PhD in Education Administration as well as an ED.S in Curriculum Development & Instruction (1977) from Michigan State University, USA. She also received the Elaine K. Komo Award of the East-West Center, Hawaii, for outstanding accomplishments in strengthening internationalisation (1992). Dr. Chantavit is currently the Centre Director of the Southeast Asian Ministers of Education Organization Regional Center for Higher Education and Development (SEAMEO RIHED) and previously served as Deputy Director (Administration and Communication) of the SEAMEO Secretariat during 2004-2007. 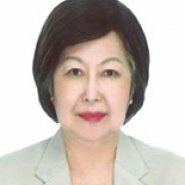 She held the position of Deputy Secretary-General of the Office of the Higher Education Commission (OHEC), Ministry of Education (MOE), Thailand, from 2007-2009, and has concluded nearly two decades of service with OHEC throughout her professional career. In her administerial capacities, she has represented Thailand in various regional and international platforms for intergovernmental cooperation as well as bilateral and multilateral cooperation and has also served as Director of International Cooperation at the National Education Council of Thailand and Inspector General of the Ministry of Education, Thailand. 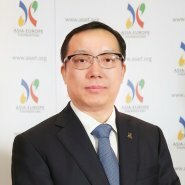 Mr SUN Xiangyang is the 7th Deputy Executive Director of the Asia-Europe Foundation (ASEF). Mr SUN supports the Executive Director in the overall planning, management and administration of ASEF. Mr SUN is a seasoned diplomat from China’s Ministry of Foreign Affairs (MFA), with over 25 years of experience. He has held the positions of the Division Director of the Asian Department, Counsellor of the International Economic Department, MFA, China, and Deputy Head of mission and Political Counsellor in Brunei and the Philippines. He has also served overseas stints in the Chinese Embassies in Indonesia, Malaysia and Myanmar. 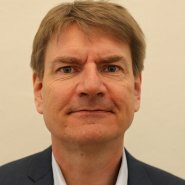 Colin Tück is the Director of the European Quality Assurance Register for Higher Education (EQAR). He has been working for EQAR since October 2007, initially as Project Manager on behalf of its founding members (ENQA, ESU, EUA and EURASHE). 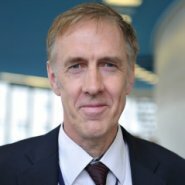 He was a member of the Steering Group for the revision of the Standards and Guidelines for Quality Assurance in the European Higher Education Area (ESG), and is a co-author of the European Approach for Quality Assurance of Joint Programmes. 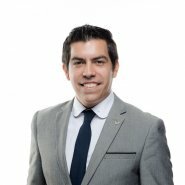 Prior to joining EQAR he was involved in quality assurance-related topics as a member of the European Students’ Union’s (ESU, formerly ESIB) Bologna Process Committee and of the Executive Board of the National Union of Students in Germany (fzs). David Urban was born in Frankfurt/Main, Germany where he accomplished his secondary education. After graduating at the Catholic university of Mons (Belgium) in political and administrative sciences, he was working for several cultural institutions in the French Community of Belgium and was appointed member of numerous committees and boards. 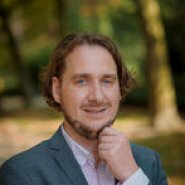 In 2009, he joined the UCLouvain and worked as a research assistant on higher education policies, focusing on transformation processes of higher education landscapes in Europe since the Bologna process. He has also been lecturing on public management and education policies at the University of Picardie Jules Verne and the UCLouvain-Mons. Since 2017, he is co-coordinator of the ASEM Education Secretariat, representing the Wallonia-Brussels Federation of Belgium. Ingrid Wadsack-Köchl, Austrian Federal Ministry of Education, Science and Research. 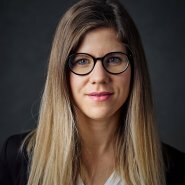 Her first responsibility at the Federal Ministry of Science was legal Human Resource Management for the scientific staff at Austrian universities– after graduation in Law at the University of Graz (Styria) and judicial internship. 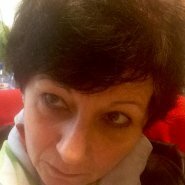 From 2002 ongoing she deals with credential evaluation within Enic Naric Austria with focus on the Asia-Pacific region and legal/non-legal advice in academic recognition matters. She is an expert for the Lisbon Recognition Convention (LRC) as well as bi- and multilateral negotiations concerning mutual recognition (e.g. Austria – Italy). Her working field comprises comparative studies on HE systems majoring recognition tools and practices, besides in several national projects e.g. on curricula development in law studies. She was team-member for the elaboration of the first text of the ASEM Recognition Bridging Declaration and member of the working group of implementing of it and recently nominated as legal expert for the UNESCO Global Convention Intergovernmental Meeting of Experts in Paris this December. 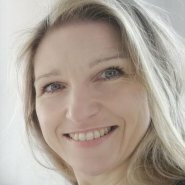 Saskia Weißenbach holds a Master degree in European Studies (Leibniz Universität Hannover and Universidad de Salamanca). She had gained working experience, amongst others at the Gesellschaft für Internationale Zusammenarbeit (GIZ), where her expertise has been amplified by the field of development cooperation as well as Higher Education (policies) in developing countries. The European perspective has been fostered at DAAD office in Brussels, the liaison office to the EU Institutions. In her current position as Senior Desk officer at DAAD Head Quarter in Germany, she is responsible for Higher Education policies focusing on EU and ASEM. Moreover, she is in charge of Erasmus+ Policy Support (Key Action 3).